At long last, it looks like our two-decade affair with the disposable water bottle may finally be coming to an end. With increasing media attention being paid to the environmental impact of all those plastic bottles, as well as increased scrutiny of the perceived superiority of bottled water, it is now becoming the hip, eco-friendly thing to tote your own reusable bottle filled with good old-fashioned tap water. Jenny Powers, a spokesperson for the Natural Resources Defense Council, says that the disposable plastic bottle has become a sort of poster a child of environmental degradation. "Roughly 70 percent of water bottles – probably more – wind up in landfills or incinerators," Jenny says, noting that recycling rates for plastic bottles are far lower than for other beverage containers (due to the on-the-go nature of the product, and also because of deposit-return laws that were enacted before the advent of the plastic bottle). That appallingly high figure takes on an even more frightening aspect when you consider that we Americans consume 50 billion plastic bottles per year. "That's 170 bottles per year for every man, woman and child in America," Jenny says. Factor in the energy needed to make all those bottles, as well as the energy required to ship them from point A to point B, and you hold in your hand a not-so-refreshing bottle of environmental disaster. But it isn't eco-concerns alone that are driving this trend away from the plastic bottle. As it turns out, your tap water is perfectly clean. In study after study, bottled water has been proven to be no cleaner than tap water, and has the added disadvantage that it isn't nearly as well regulated as your tap water. Also, if you estimate that a bottle of water costs about a dollar, your tap water is thousands of dollars cheaper. And then of course there is bisphenol A (BPA), a chemical compound found in the disposable bottles that could be disruptive to the body's hormone levels. Though not as alarming as some media reports, an April 2008 study by the National Institutes of Health concluded that "the possibility that bisphenol A may alter human development cannot be dismissed." So what's the health-conscious, eco-friendly boy or girl to do? The answer: go to your local outfitter or other retailer and check out the ever-growing selection of reusable beverage containers. From stainless steel to BPA-free plastic, there are hundreds of choices for whatever situation requires rehydration. For backpackers and outdoor athletes who have been filtering water and reusing water bottles all along, it's never been easier. The Vario filter by Katadyn, for instance, pumps two liters of water per minute and has a replaceable carbon core. Chris Glaser, a manager at Benchmark Outfitters in Cincinnati says that sales for the new containers – stainless steel and BPA free – have been brisk. "A lot of our water bottle sales have been influenced by all the reports of BPH on the news," he says. "We can't keep the products in stock." Jenny of the NRDC is glad people are beginning to take a new look at the plastic bottle. 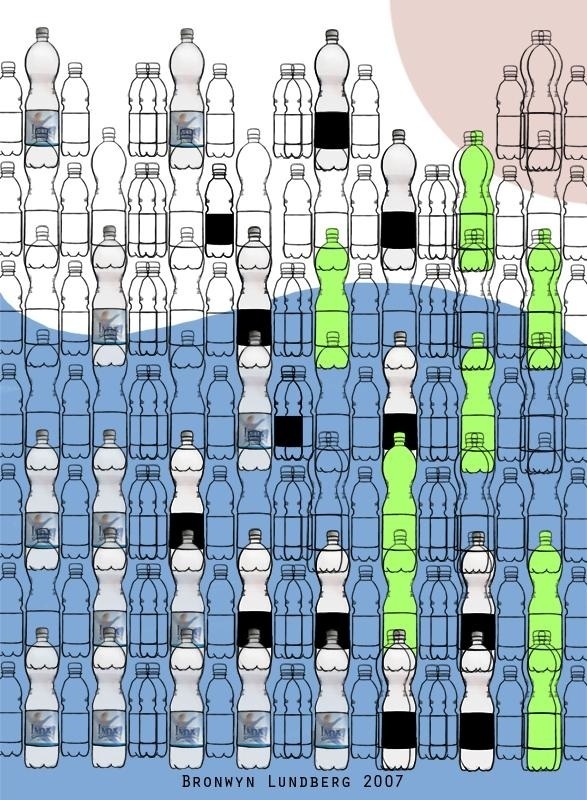 "I don't think people really considered the environmental impact of bottled water," she says. "It just wasn't on their radar – and now it is, which is great."